Did Hillary Back Foreign Deals Due to Clinton Foundation Donations? The first round of those reports was published on Wednesday, and so far Paul was right — but not in the way he intended. Sifting through the connections between foreign CEOs’ business dealings, foundation donations that were only partially disclosed, speaking fees collected by Bill Clinton, and decisions made by the former secretary of State is certainly “mind boggling,” but so far there’s no smoking gun. The biggest revelation so far concerns the sale of one of the United States’ largest uranium mines to Russia’s state atomic energy agency, Rosatom. The Wyoming mine — which could produce as much as half of the U.S. uranium supply this year, according to The Wall Street Journal — was formerly owned by the Canadian company Uranium One, but from 2009 to 2013 the Russians took control of the company. Because the $610 million sale could have national security implications for the U.S., it had to be approved by a federal committee composed of several government agencies. Here’s how the Clintons were involved: Hillary’s State Department was one of the agencies that approved the deal in 2010, and the New York Times reports that during that time Uranium One’s chairman, Ian Telfer, made four donations to the Clinton Foundation via his family foundation, totaling $2.35 million. Despite the Clintons’ agreement with the Obama administration, those donations were not disclosed. Speaking of Giustra, Politico reports that he’s the subject of another tale from Clinton Cash. Giustra sits on the Clinton Foundation’s board, has pledged more than $100 million to the foundation, and cofounded the Clinton Giustra Enterprise Partnership. The chapter “Rainforest Riches” reportedly details Giustra’s close relationship with Bill Clinton and notes that he benefited from the secretary of State’s support of a 2011 free trade agreement with Colombia. 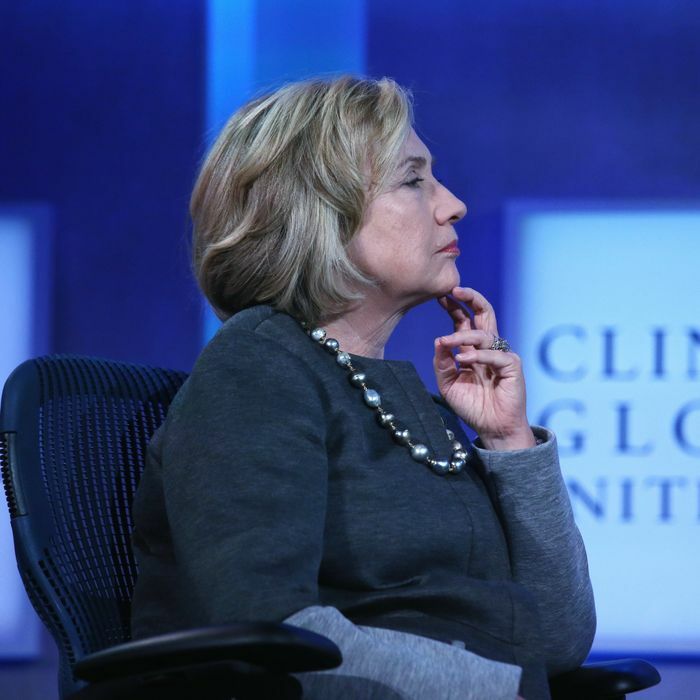 A source with “knowledge of the Clinton Foundation’s fund-raising operation” confirmed the obvious to the Times: Many donors are giving to the Clinton Foundation because they hope the money will advance their cause. “Why do you think they are doing it — because they love them?” the source quipped. But that doesn’t necessarily mean that they were successful in their efforts to influence the Clintons. If the early reports are any indication, untangling the former (and possibly future) first couple’s professional and charity work is going to be an arduous task for journalists, and the findings may test the limits of America’s interest in Clinton scandals. Did Hillary Back Deals Due to Foundation Money?